The 2019 Jr. Iditarod will begin at Knik Lake on Saturday, February 23, 2019. The mushers will travel, via Eagle Song Lodge, to the Yentna Station Roadhouse where they will have an eight hour layover. Upon leaving the Yentna Station Roadhouse, they will travel back to Eagle Song Lodge and then on to Willow Lake where they will finish. Entries will be accepted starting Saturday, June 30, 2018. There will be Jr. Iditarod personel at the Iditarod Volunteer picnic to accept any Jr. entries that come in that day. 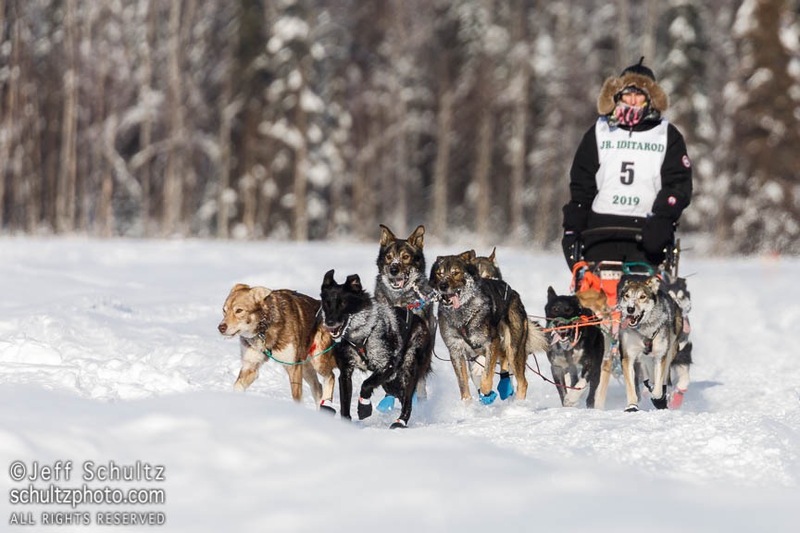 After that, entries may be mailed in or hand delivered to the Iditarod office at Mile 2.2 Knik Goose Bay Road. They may be mailed to Iditarod, 2100 S Knik Goose Bay Road, Wasilla, AK 99654. There will be no entry fee required if a musher enters prior to December 1, 2018. After that date the entry fee will be $150. All required paperwork must be turned in at the time of entry.